I-44 bypassed the original Diamonds in 1960. 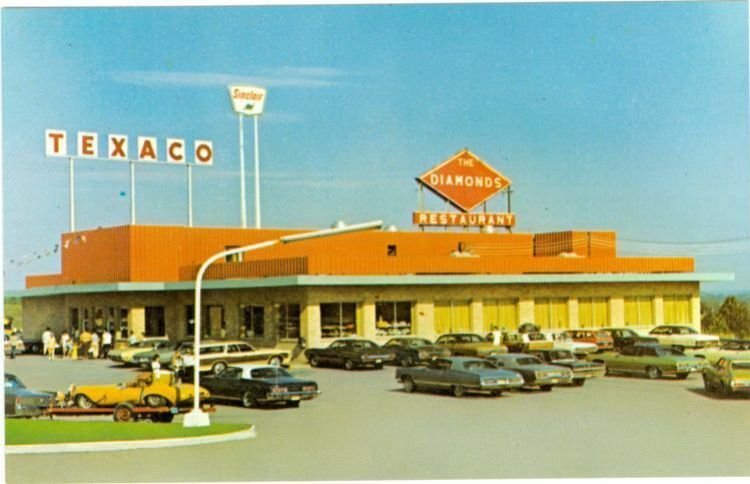 The restaurant held on until 1967, when the new location opened on I-44 at the Gray Summit exit. Note the orange sign from the original location. The location closed on November 11, 1995, and has since been demolished.